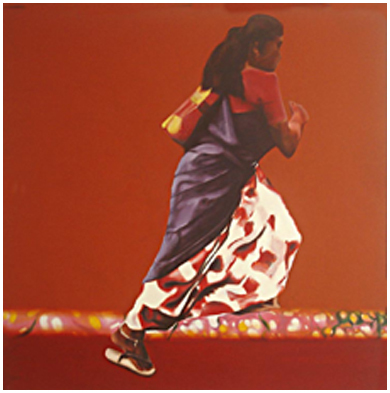 Binoy Varghese was born in Kerela the artist has done his National Diploma in Fine Arts from R.L.V college of Fine Arts, Kerela.He has attended several residency programmes. His one man shows include : The Other Gallery, Banff Centre for Arts, Canada , Artist of the month Max Muller Bhavan, Chennai . 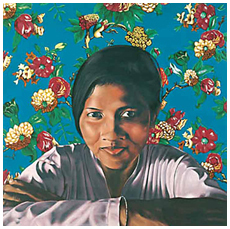 He has had several group shows some of which are: Quay Side Gallery, London , Gallery 47 London , Herwitz Gallery, Ahmedabad, , HEAT Habitat Centre, New Delhi, , Definitively Provisional ‘Whitechapel Project Space, Landon , Virat Gallery, New Delhi, .His works are in various collection in India and abroad including the National Gallery of Modern Art, New Delhi, Inida. The artist lives and works in New Delhi.